One of the struggles B2B marketers come to me with is the fact that they just don’t know how to come up with content for their blog, website, or other online platform (like social media). They want to make it interesting, without being cheesy or too pushy in the sales process. Even if B2B marketers feel like they are alone on this, the fact is that all industries occasionally have trouble figuring out blogging ideas or topics. Here are five ways to generate ideas. These suggestions aren’t for a specific industry, and almost every B2B marketing professional should be able to find inspiration through these locations. Customer service communication is a great place to start. B2B marketers should check out the ticket queue, FAQ section, or even a customer service forum to see if there are any repeated questions that could be answered in a blog post. Is your audience always wondering how to integrate your product into their existing software? Write a step-by-step tutorial about it. Additionally, with updates (particularly if you are SaaS or product-based company), there are bound to be questions on how to upgrade or use new features. Writing a blog post about each one could help your audience learn how to use and leverage your offerings that much more quickly. Much like customer service forums, the sales team is going to have a wealth of repeated questions that you could answer through content. Ask any of your sales team what questions they get the most or what they find themselves repeating over and over, and you have a list of blog post topics to last you for weeks. Don’t stop with just the common questions and obstacles either. Extend focus by addressing conversations that happen throughout the sales cycle. Once a sales team has the experience of talking to leads and developing relationships of a longer period of time, they will be able to come up with more blog post ideas that can help you develop your content. 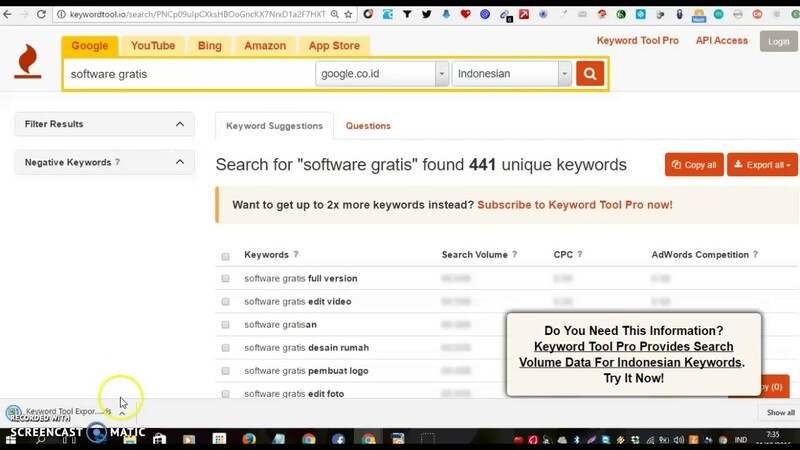 Bing Webmaster Tools offers similar data as well, and if you want a broader look, try the free search tool http://keywordtool.io (which I have no affiliation with). If you want more information than the free tools above can give you, paid tools like BuzzSumo, Searchmetrics, or WordStream all have databases that let you dig deeper into keyword research, including competitor analysis. Once you get a few reports of popular keyword phrases for both your own traffic and the industry as a whole, consider shaping a few of the most relevant or interesting ones into blog posts. Even if you feel like your industry’s heavy hitters and target customers aren’t on social media, it doesn’t mean that their employees aren’t. Build a Twitter list of key influencers on Twitter and look at their tweets for inspiration. Look for other places where people are asking questions about your industry. Quora and reddit are two other great free resources to find pockets of discussion about your products and services. Search by major keywords, product names or purpose, or even industry-specific buzzwords. Great discussions on social media or boards like Quora and reddit make it easy to find inspiration on what people are wanting to know, what fires them up, or what they have trouble with. Use any of these angles to create new B2B marketing blog posts about your specific solution offerings. Even though B2B is thought of as marketing to businesses, the ones who make the actual purchasing decisions are still people. Act accordingly by searching for testimonials or case studies that you could publish on your blog. This will not only give you content, it will also reinforce your company’s standing as a leader in your field with happy, successful customers. If you are having a difficult time finding case study subjects or unique customer stories, try sending out an email blast with a call for stories (maybe with a promised gift card or discount) or explain that this will give them exposure as well on your platforms. In addition, your sales team can be relied upon again to come up with some recommendations of customers they’ve built a relationship with.